Hampstead is London's country village. It is only a stone's throw away from the heart of the bustling metropolis and yet its streets, alleyways and passageways are, it is safe to say, unlike anywhere else in London. Our Hampstead Treasure Hunt lets you explore the timeless streets and buildings of this wonderful London village and gives you the opportunity to uncover some of its best kept secrets. As you make your way around our Hampstead Treasure Hunt Route you will visit places that seem untouched by time and progress. Places that you would never dream could exist so close to central London. In the course of your Hampstead Treasure Hunt you will search for clues and information in places as diverse as the house that gave P. L.Travers the inspiration for Admiral Boom's house in Mary Poppins, and the cottage that was the artist John Constable's summer retreat in the early 1820's. You will make Constable's acquaintance again when you enter a spooky, overgrown churchyard to look for the possible solution to a clue on his grave! This churchyard is a real gem and was even featured in Bram Stoker's all time horror classic Dracula. We've even managed to get John Harrison of Longitude fame into your treasure hunt, so timing your progress around the route shouldn't prove too much of a problem! The poet John Keats, the authors Robert Louis Stephenson and Charles Dickens, the school master who composed the Eton Boating Song and the original Captain Hook in Peter Pan are just some of the other characters who have somehow found their way into our Hampstead Treasure Hunt. But exactly how they have is for you to find out and for us to reveal when you have completed your jaunt through the streets of this lovely village. In addition you will delve into one of London's most amazingly wild and haunting churchyards to find solutions that are scattered amongst the tombstones, some of which lean at all sorts of bizarre and odd angles. And, since Hampstead is home to the likes of Jonathon Ross, Ricky Gervais, Michael Palin and one or two other modern day celebrities, you never know who you might encounter as you pick your way around our treasure hunt route searching out the answers to observation questions and photo challenges that will really enable you to learn about and discover the streets, buildings, and alleyways of the village that time forgot. So if you are looking for a team building activity that is almost, but not quite, in London. If you are looking for a fun day or evening for yourself and your co-workers. If you want to explore a part of London that is so unlike the London you encounter on a daily basis. Then the Hampstead Treasure Hunt is ideal. We can guarantee that you'll discover some wonderful, and intriguing, items whilst exploring streets and alleyways that could easily convince you that you've been somehow transported to a country village far from the rush and bustle of modern London. When it comes to team building there can be few parts of London that lend themselves so readily as Hampstead. So picturesque are the streets that you will explore; so breath-defying is the fresh air on the Heath; so utterly enchanting are its houses and cottages that, even if you happen to find yourself on the losing team, you will still feel like a winner due to the stunning places you will have uncovered on your Hampstead treasure hunt! 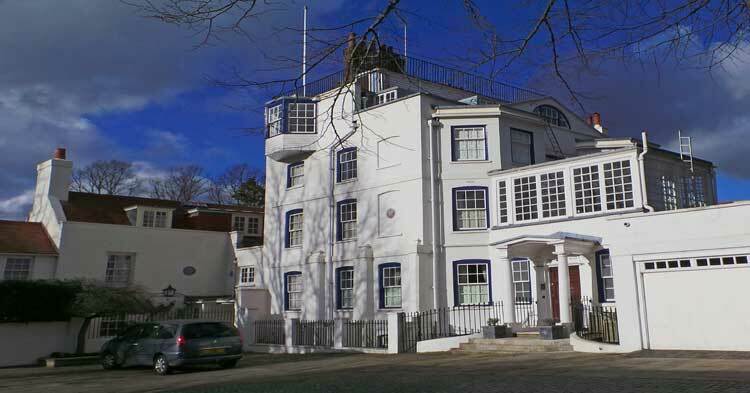 The cost of the Self Managed Hampstead Treasure Hunt Package is £140.00 for 4 packs.